The boys go dirtbiking fairly often and sometimes they drive an hour or so to get there. Well AJ has apparently been scoping out different things he knew I'd like to take pictures of for scrapping. I went with them this past weekend and there were several things he pointed out to me along the way. 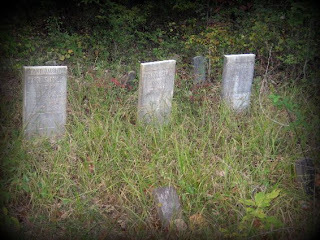 One of them was this old cemetary plot. 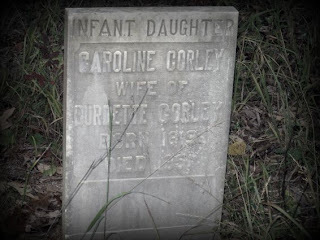 There's no church nearby and all the headstones have the same family name of Corley. My guess it was their own family burial site. The oldest dated stone we could see was from 1819! They are all in really good condition. 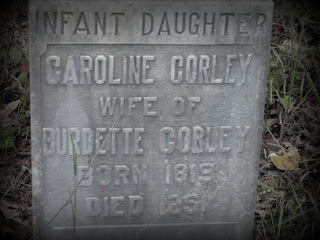 I've got to do some research and see what I can find out on this family.